A friend of mine used to work for a company that specialized in precious metals. He gave me a factory tour several years ago. It was interesting to see the difference between raw materials and unrefined items, and the final product be it silver and gold bars, or jewelry supplies and products. I remember the tremendous heat involved in the refining process, and the large vault in which everything was secured, before and after refining. Everything in that factory was of value, regardless of where it was in the production line. 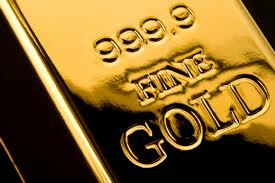 Refining added value, as did the process of transforming silver, gold and other materials into jewelry. Needless to say I had to undergo an airport type search before leaving the factory. The point is that every human being was created by God in His image and is of value to God, whether they are still rough around the edges, undergoing a refining process, or fast approaching becoming a finished product. God sees value in us all, but He needs to take us in our unrefined state and add further value. The only problem is that most of us do not want to pass through the heat of the furnace. The Hebrew word used for trieth in this proverb may also be translated as test, investigate, examine, prove, tempt, try (by trial). Each of these words describes part of the process God applies to us. We cannot expect it to be a walk in the park. This is serious stuff. But consider the end result! 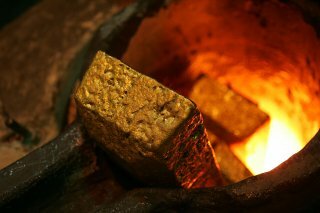 Imagine a worker in the precious metal factory handling a shiny gold bar having watched it take shape from the point it entered the production line as dirty unrefined ore or nuggets. Imagine the joy of holding the finished product and seeing your reflection in it. Then imagine how God feels when He can finally see Himself reflected in one of us.